Don Walker of Magna International was one of several speakers at the first Automotive News Canada Congress. The first Automotive News Canada Congress concluded with a message of opportunity and national pride as the event’s speakers said that Canada is poised to get a better NAFTA deal and become a technology powerhouse. The congress, held Feb. 16-17, during the opening days of the Canadian International AutoShow, is an annual event that hosts high-profile speakers representing Canadian automotive industry executives, leaders and government officials. Canadian Minister of Innovation, Science and Economic Development Navdeep Bains. 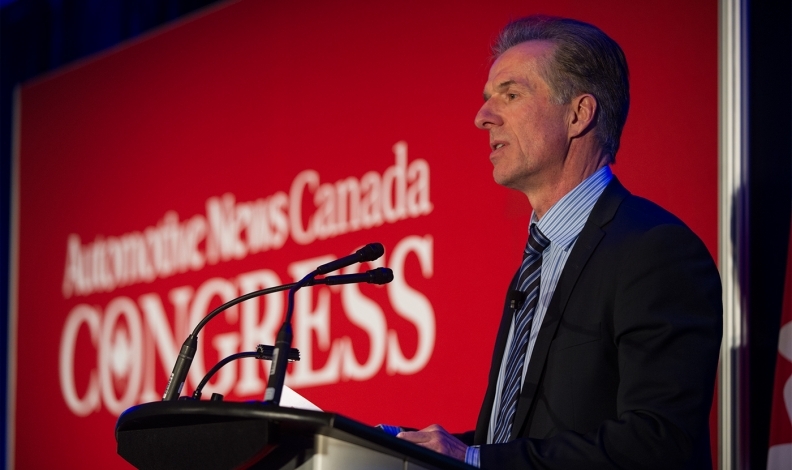 For a recap of the congress, including coverage of all the speeches, visit the Automotive News Canada Congress web page.